You have been waiting for this all year, and it’s FINALLY time. Golf season is here! You have prepared by cleaning your golf shoes, wiping down your clubs, and restocking your bag with a fresh supply of balls. You’ve gathered a few pals and are ready to OWN your tee time. However, have you made sure your body is primed and ready golf season? If you haven’t given thought to preparing your back, knees, and arms for handling your power swing, now’s the time. Over 80% of professional golfers and 60% amateur golfers sustain an injury at one point in their career (bruised egos aside). Here’s the kicker: these injuries caused wanna-be-players to be out of commission for an average of 5 weeks. Yikes – that’s a huge chunk of golf season to be kept off the green. Luckily for you, there are a few things you can do to help prepare your body for golf season, lower your risk for injury, and enjoy as much time as possible on the course. Make an appointment at Elements Massage® now, and then schedule a few more sessions throughout the summer. If you haven’t put massage on your short list of things to do before golfing, you definitely should. 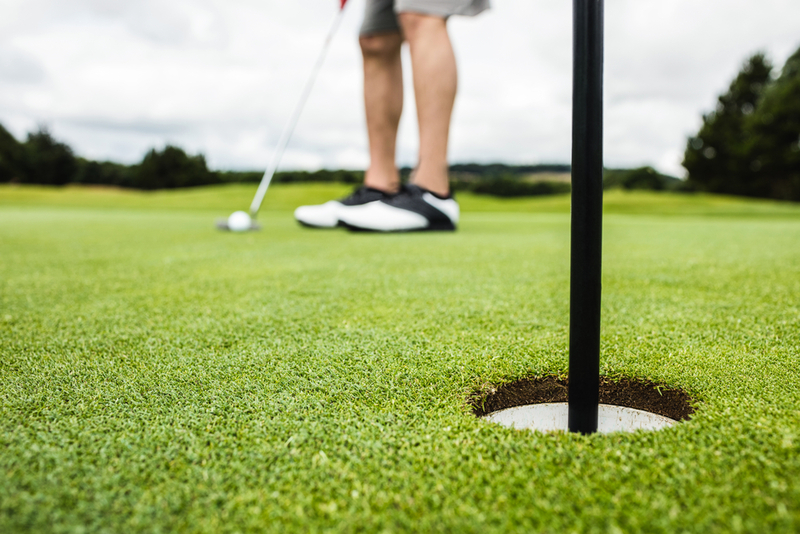 One study found that of golfers who sustained an injury while golfing, over a third reported a hurt lower back, and another third reported a hurt elbow. Getting regular massages can increase the range of motion and improve the flexibility of your muscles. Massage also promotes healthy circulation, which can improve the fluidity of your muscles. And, if you’ve got an injury from last year’s golf season, it’s especially important to get any residual knots and kinks worked out. When strained, muscles tend to bunch up to “protect” an injured area. Making sure your back and joints are in their best possible form before you hit the greens will lower your chances for injury. Prepare with planks. In golf, you rely so much on core strength. It’s the twisting and power from your core that can make or break your swing. As long as your doctor agrees, we recommend training for golf season with front and side planks. Aside from working the stomach, oblique, and back muscles of your core, planks also strengthen your glutes, quads and shoulders. For a front plank, rest your body weight on your elbows and toes, each being shoulder-width apart. Your body should be in a straight line, with no peaked or sagging bottom. For a side plank, you’ll prop up on one elbow on your side, and rest your weight on the side of your foot and one elbow, your body again in a straight line. Aim for a couple sessions of 30-second planks to start, and then build your time to holding each plank for a minute or more. Warm up and stretch. Arrive 20 minutes early, and take a lap or two around the parking lot or neighborhood. Add in a few minutes of swinging and circling your arms, and then stretch. Make sure you stretch your back, neck, shoulders, and hamstrings. Hold each stretch gently for a count of 10-15 seconds. Not only will limbering up lower your risk for game time injury, but it may give you an edge over your buddies.